Transfer of goods will be fenced-off, monitored in designated tax free areas. According to the UAE’s VAT law, the transfer of goods between designated zones, which are defined as specific set geographic areas with security measures in place to monitor the movement of goods and people, are tax free. A total of 20 free zones throughout the UAE will be exempt from VAT, according to a document published by the UAE’s Federal Tax Authority (FTA). An unofficial translation of the cabinet decision posted online by the FTA online lists seven free zones in Dubai, three in Abu Dhabi, three in Ras Al Khaimah, two each in Sharjah, Umm Al Quwain and Fujairah and one in Ajman. 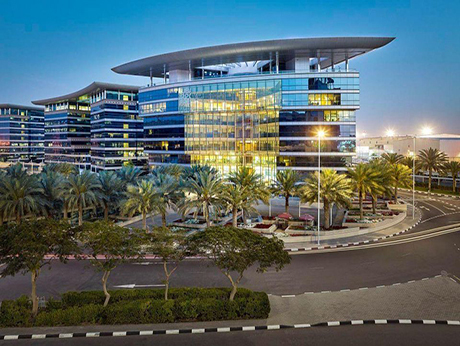 Free zones across the UAE are seeing an uptick in business. In March, Abu Dhabi Ports announced plans to expand Kizad, its industrial manufacturing zone, in response to demand from existing and international investors. The expansion, revealed at the Global Manufacturing and Industrialisation Summit 2017, adds an additional 100 square kilometres of space as well as a new business park and will make the free zone the largest in Abu Dhabi. “Goods may also be transferred between designated zones without being subject to tax if the goods are not used or altered during the transfer process, and the transfer is undertaken in accordance with the rules for customs suspension per GCC Common Customs Law,” a note from Dubai-based Afridi & Angell legal consultants notes. Additionally, the note from Afridi & Angel states that the movement or supply of goods into a designated zone from inside the UAE will not be considered an export of the goods, and will not receive the same zero-rating which applies to exports outside the GCC.